Explanation of how switches and bridges work. If you haven't ready reviewed part one on hubs and repeaters we recommend that you take a look at it before continuing. By now you can see the limitations of a simple hub and when you read about Ethernet, you start to understand that there are even more limitations. The companies who manufacture hubs saw the big picture quickly and came out with something more efficient – bridges and then switches came along! Bridges are analyzed later on in this section. 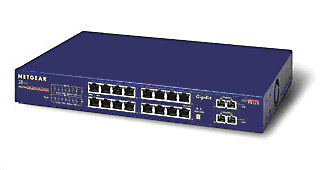 Switches (Layer 2 Switching) are a lot smarter than hubs and operate on the second layer of the OSI model. What this means is that a switch won't simply receive data and transmit it throughout every port, but it will read the data and find out the packet's destination by checking the MAC address. The destination MAC address is located at the beginning of the packet so once the switch reads it, it is forwarded to the appropriate port so no other node or computer connected to the switch will see the packet. Switches use Application Specific Integrated Circuits (ASIC's) to build and maintain filter tables. Below is a picture of two typical switches. Notice how they look similar to hubs, but they aren't. The difference is on the inside! Since the switch has two MAC addresses in the filtering table, the devices can make a point-to-point connection and the frames will only be forwarded between the two devices. This makes Layer 2 switches better than hubs. As we explained early on this page, in a hub network all frames are forwarded out to all ports every time. Most desktop switches these days can hold up to 8000 MAC addresses in their table, and once the table is filled, then starting with the very first MAC entry, the switch will start overwriting the entries. Even though the number of entries might sound big... it only takes a minute or two to fill it up, and if a workstation doesn't talk on the network for that amount of time, then chances are that its MAC address has been removed from the table and the switch will forward to all ports the packet which has as a destination this particular workstation. When a frame arrives at the switch, the first step is to check the destination hardware address, which is compared to the forward/filter MAC database. If the destination hardware address is known, then it will transmit it out the correct port, but if the destination hardware address is not known, then it will broadcast the frame out of all ports, except the one which it received it from. If a device (computer) answers to the broadcast, then the MAC address of that device is added to the MAC database of the switch. The server for one reason or another decides to do a broadcast. This First Round (check arrow) broadcast is sent down to the network cable and firstly reaches Port 1 on Switch A. As a result, since Switch A has Port 2 connected to the other side of the LAN, it sends the broadcast out to the lower section of the network, this then is sent down the wire and reaches Port 2 on Switch B which will send it out Port 1 and back onto the upper part of the network. At this point, as the arrows indicate (orange color) the Second Round of this broadcast starts. So again... the broadcast reaches Port 1 of Switch A and goes out Port 2 back down to the lower section of the network and back up via Port 2 of Switch B. After it comes out of Port 1 of Switch B, we get the Third Round, and then the Fourth Round, Fifth Round and keeps on going without stopping.....! This is what we call a Broadcast Storm. A Broadcast Storm will repeat constantly, chewing up the valuable bandwidth on the network. This is a major problem, so they had to solve it one way or another, and they did -- with the Spanning Tree Protocol or STP in short. What STP does, is to find the redundant links, which this case would be Port 2 of Switch B and shut it down, thus eliminating the possibility of looping to occur. At the beginning of this page we said that the switches are fast, therefore have low latency. This latency does vary and depends on what type of switching mode the switch is operating at. You might recall seeing these three switching modes at the beginning: Store & Forward, Cut-Through and Fragment Free. So what does this all mean? Switching modes? Let's Explain! This is one of the most popular switching methods. In this mode, when the switch receives a frame from one of its ports, it will store it in memory, check it for errors and corruption, and if it passes the test, it will forward the frame out the designated port, otherwise, if it discovers that the frame has errors or is corrupt, it will discard it. This method is the safest, but also has the highest latency. Cut-through switching is the second most popular method. In this mode, the switch reads the frame until it learns the destination MAC address of the frame it's receiving. Once it learns it, it will forward the frame straight out the designated port without delay. This is why we say it's 'Real Time' -- there is no delay or error checking done to the frame. The fragment free switching method is mainly used to check for frames which have been subject to a collision. The frame's first 64 bytes are only checked before forwarding the frame out the designated port. The reason for this is because almost all collisions will happen within the first 64 bytes of a frame. If there is a corruption in the first 64 bytes, it's most likely that that frame was a victim of a collision. When you go out to buy a switch, make sure you check the amount of memory it has. A lot of the cheap switches which support the Store & Forward mode have very small amounts of memory buffer (256KB- 512KB) per port. The result of this is that you get a major decrease in performance when you have more than two computers communicating via that switch cause there isn't enough memory to store all incoming packets (this also depends on the switching type your switch supports), and you eventually get packets being discarded. 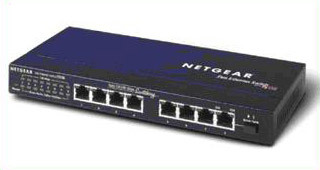 Bridges can only have up to 16 ports, while a switch can have hundreds! Click over to Firewall.cx for more articles like this one. You don't have to register or jump through any hoops. All you do is get the networking information you want. Copyright 2004 Firewall.cx. That was a very good explanation. I have a confusion. What is that software used by a bridge to make the forwarding decision, why not a switch not using a software and it has to be very fast than hardware.